Banners have become big over the past 4-5 years. 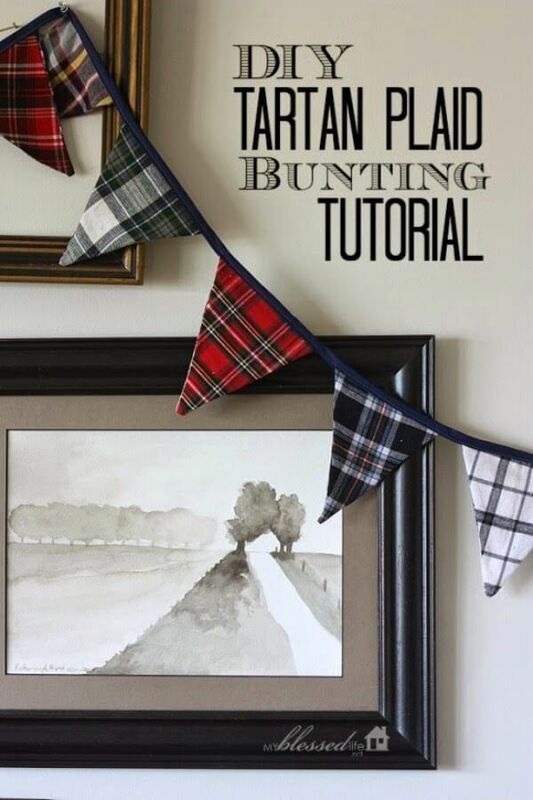 Creating banners is a great way to decorate for a party without spending any money. 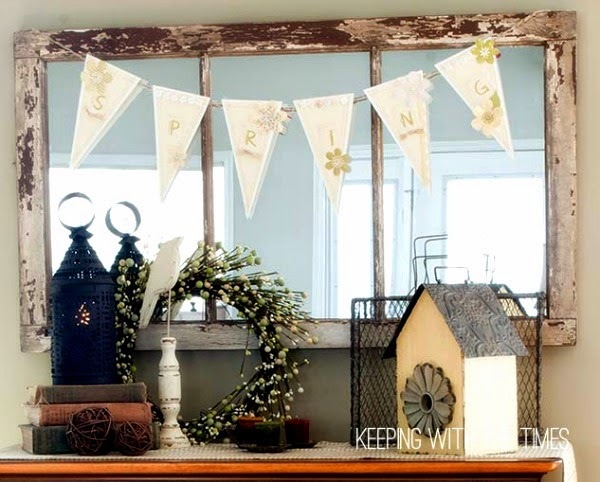 Welcome spring with a paper or fabric banner spelling out the season. This one is simple but very cute. 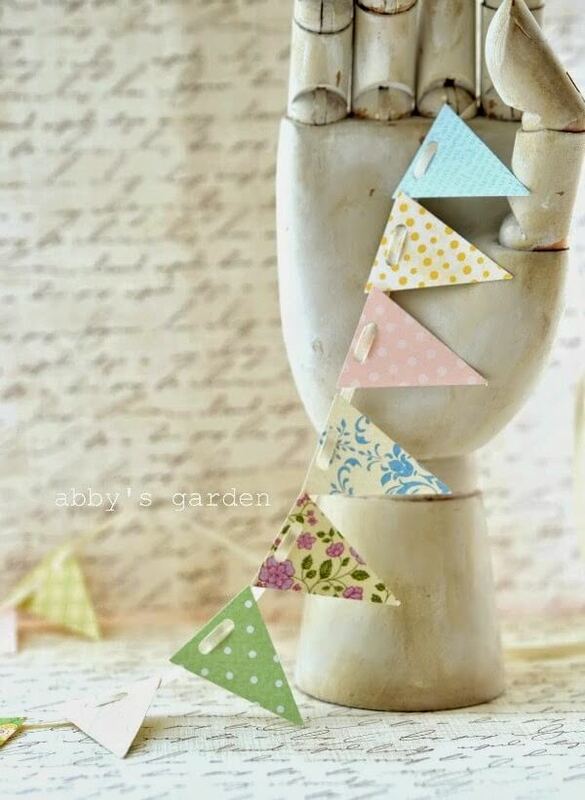 Cut triangles out of scrapbook paper or fabric and string together with ribbon. 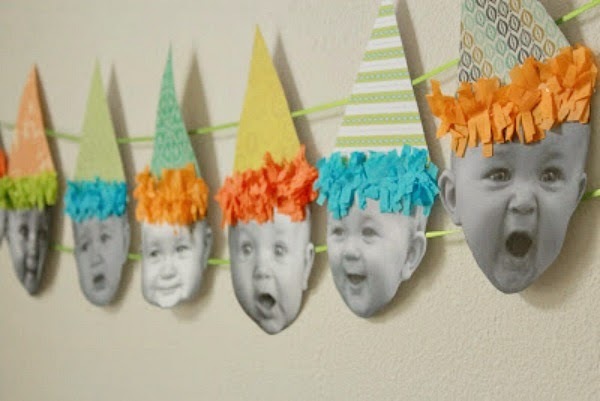 This is a cute idea for a baby’s birthday party. This one is more intricate and would take a bit more time to make. But it sure is beautiful. This one is a bit more bohemian in style. 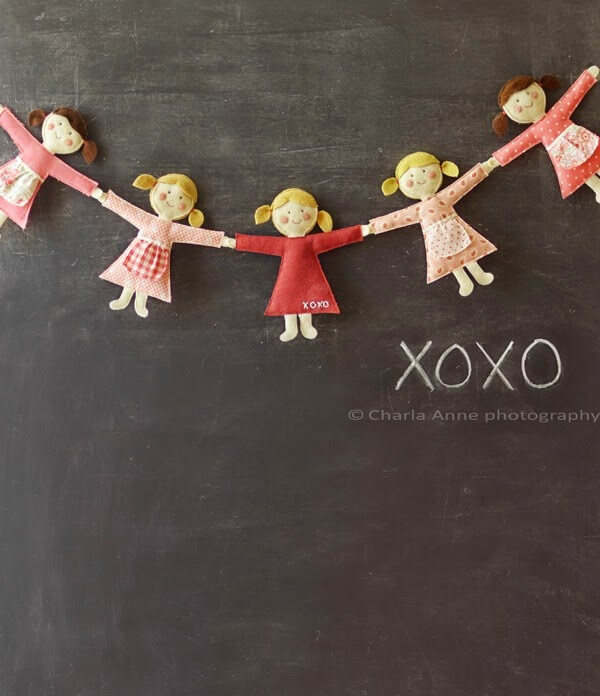 What little girl wouldn’t love this one made with little dolls? 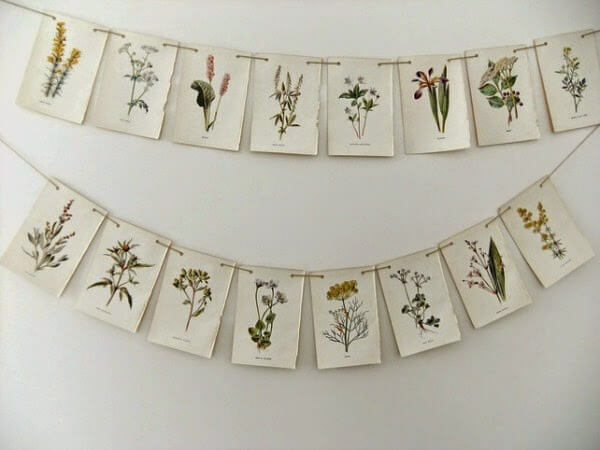 I love this one created with botanical art. It gives off a vintage vibe. Who doesn’t love flowers? 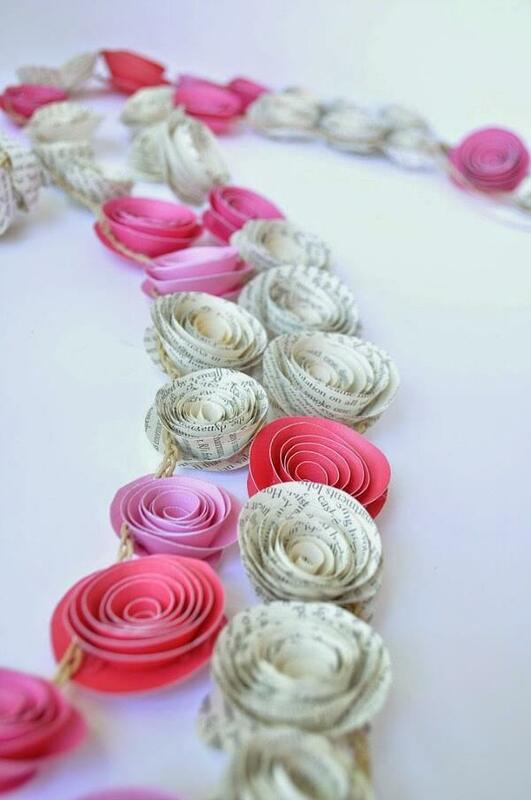 These paper rosettes are adorable. Or how about this pretty embroidered one. How sweet is this? Super cute ! Love the baby heads ! My favorite is the one from Abby's Garden ~ with the ribbon. These are so much fun to make!!! 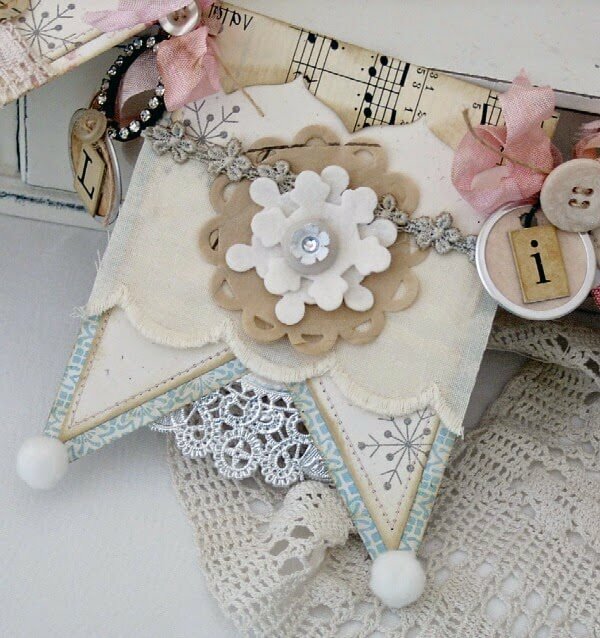 I love that fancy one, wouldn't that be fun to make, although time consuming! 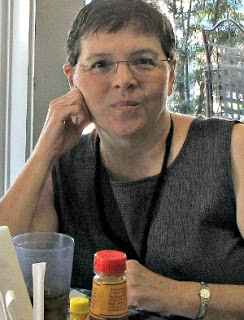 After 3 sons, one grandson and (mostly nephews) there is a granddaughter coming in early June (so they say, I told my son I won't believe it until I change a diaper!) consequently, I am enjoying anything girly right now, so my favorite one is the little doll/girl banner. I actually sewed a flag bunting with iron-on letters spelling out her name, to hang above the crib in the nursery, it was easy and fun to do! These are so cute! I think the pinks are always calling my name! I like the Botanical one also. Gosh! They're all so cute! I love the one with the dolls holding hands. It reminds me of the paper banners that people used to make with doll shapes. 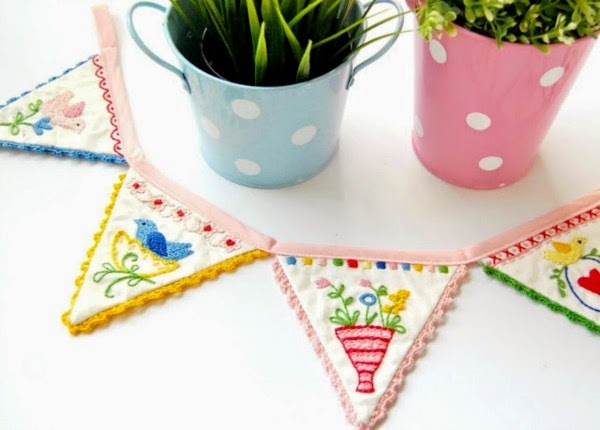 I love banners and Judy has the cutest little one on her blog, and now you have some beauts too….love it, love it, love it. What great banners!! I have one in my dining room that Carol from "Art and Sand" made for me. 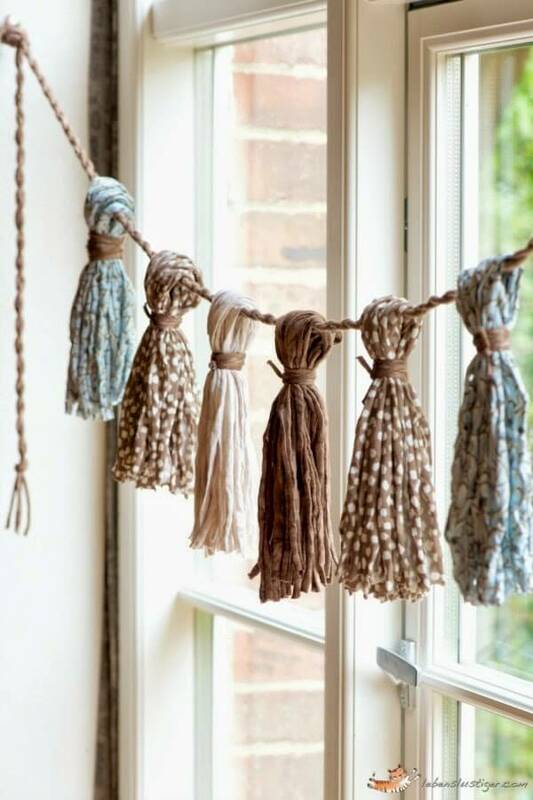 I love all of those banners, I think my favorite is the bohemian tassel banner!